In stock -This product will ship today if ordered within the next 12 hours and 27 minutes. 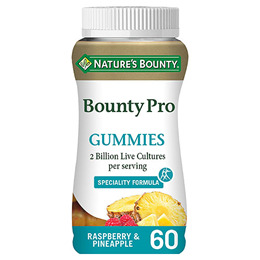 Nature`s Bounty Biotic Pro Gummies with sweeteners provide 2 billion friendly bacteria for the digestive system. 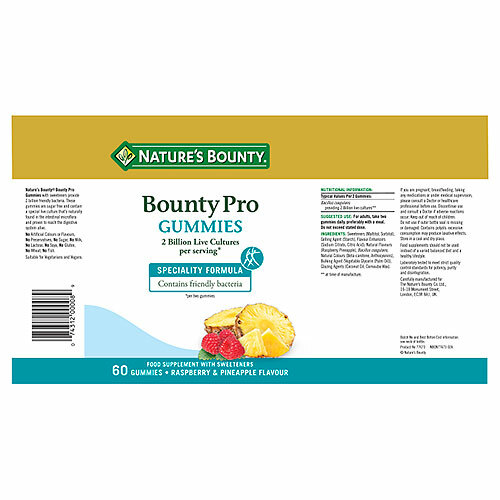 These gummies are sugar free and contain a special live culture that`s naturally found in the intestinal microflora, ensuring you have a happy balance. Raspberry and Pineapple Flavour. Sweeteners (Maltitol, Sorbitol), Gelling Agent (Starch), Flavour Enhancers (Sodium Citrate, Citric Acid), Natural Flavours (Raspberry, Pineapple), Bacillus coagulans, Natural Colours (Turmeric, Anthocyanins), Bulking Agent (Vegetable Glycerin (Palm Oil)), Glazing Agents (Coconut Oil, Carnauba Wax). Contains polyols: excessive consumption may produce laxative effect. 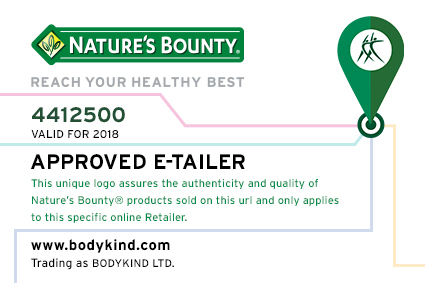 Below are reviews of Nature`s Bounty Biotic Pro 2 Billion - 60 Gummies - Best before date is 30th June 2019 by bodykind customers. If you have tried this product we'd love to hear what you think so please leave a review. 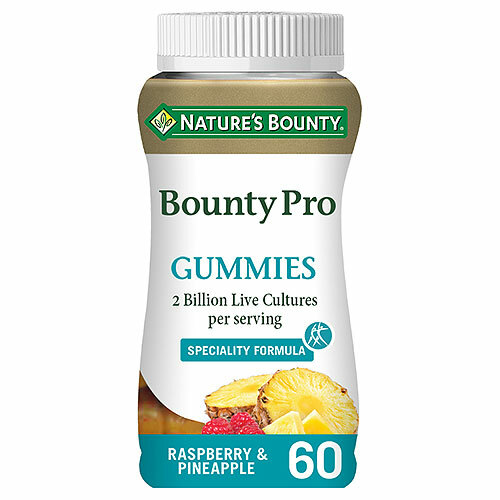 Nature`s Bounty Biotic Pro Gummies with sweeteners provide 2 billion friendly bacteria for the digestive system. 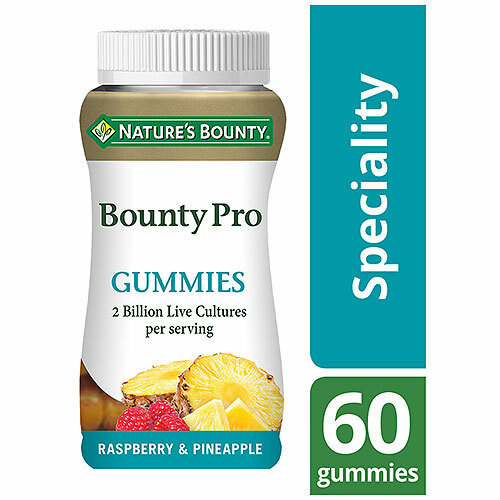 These gummies are sugar free and contain a special live culture that`s naturally found in the intestinal microflora.